This messaging cushion turns any seat into a stress relieving spa. This is safe for the car, office, and home, bringing the spa to the executive. The cushion has a total of 8 shiatsu powerful massage nodes, including 4 in the back and 4 in the neck, to provide the ultimate stress and pain relief. Heat and vibration functions can be customized for maximum comfort based on the executive’s needs. Remote control powered rollers and nodes help target specific areas of the back or the entire back. The product remains on for 20 minutes before shutting off for safety, elongating the life of the product. Straps on this cushion allow it to be easily secured to office, car, or dining room seats and chairs. The relief can travel with you. 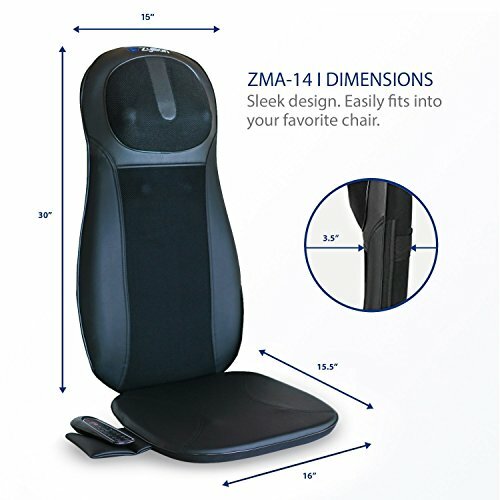 This massager can be brought on any business trip to allow for a massage in any seat without the need to see a professional. Shiatsu massage nodes work to replicate a massage done by human hands while working the entire back and neck area. Duke University Medical Center also studied brain tumor patients to determine the effects of massage on stress. In these patients, massage helped decrease stress while also improving overall emotional health and familial relationships. Shiatsu massaging nodes penetrate deep into the muscles and tissues, making the massage intense. If you are under 5’4, you will not benefit from the neck massage. 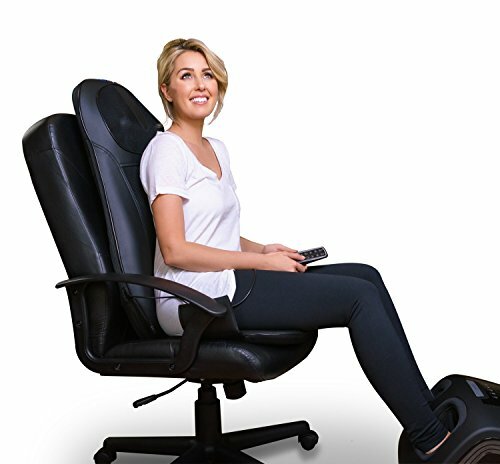 Turn any seat into a stress relieving spa now!